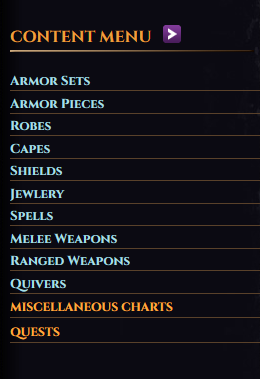 On the right hand side you will find the Content Menu. You will find all of the base T4C information in these charts. 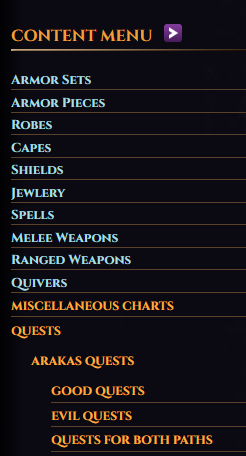 If you click on Quests it will open up a menu to allow you to select what category of quests you wish to see. 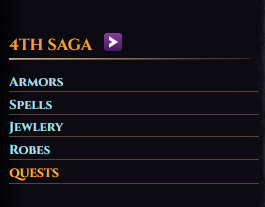 Once you have selected your active server you will see the add on content for the currently selected server.